Early Access Doesn’t Work. At Least Not for Me. Most of the Time. I’ve been thinking about early access games a lot over the past six months. On the surface it seems like an incredible way for small game developers to raise the capital to get their games made and for the gamers to see behind the curtain and have input into development. And when things go really well, it does work like this. However, from my personal experience, this is rarely the case. I’ve been involved with several early access projects now and I’ve yet to feel like any of them were a smashing success. Some have felt like complete tripe that were created to make a quick buck, and others, while being diligently worked on by passionate teams, just seem to miss the mark one way or the other. Some developers get around this by not giving a firm final product release date. Instead opting to release a playable alpha or beta and updating it on a regular schedule. This seems the intelligent way to go. Assuming, of course, that you keep your investor players in the loop with constant updates. Even then, gamers are an impatient and entitled lot and may lose faith in an early access project when it seems like a release date is not forthcoming in an amount of time they deem it should be. If a developer provides a release date and then misses it … well, let’s just say it isn’t pretty. Developer and publisher Chucklefish has found this out the hard way with their game Starbound. 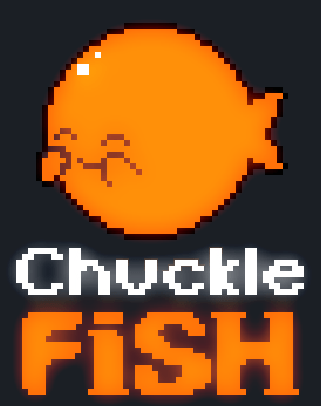 After missing targeted release dates twice and not updating the game as often as they originally intended Chucklefish has drawn the ire of some of it’s supporters. Despite the fact that the game is still in active development, had a sizable update in February, and seems to be chugging toward a 1.0 release in the near future, there are still many angry supporters of the project for the a fore mentioned missed deadlines. One need go no further than than the Steam store reviews of the game to see this. Another issue that rears its ugly head are so called “developers” who raise money through crowd funding or early access, then release an early access game and run off with the money. Often times the product that is churned out is a fetid pile of unplayable crap that leaves supporters angry in the extreme with no recourse. In a couple of cases the issue has been so bad that Steam had to pull the games in question from their store and offer refunds. For an example of this just do a Google search for Earth: Year 2066. For my friends and I the issue has gotten to the point that we won’t go near an early access game on Steam unless the reviews are at least listed as “mostly positive” or better. To be honest, we’re all pretty sick of early access and have pretty much decided to avoid it. This is a shame because the majority of games that Steam thinks I’m interested in lately are early access, and I’m really just not. If a large enough segment of PC gamers are feeling this way, then the whole early access enterprise is doomed to failure. Steam’s fix for both of the problems I mention above is to place a caveat emptor on any store page for an early access game. This is, at best, a bandage. Steam (and other stores like it) should consider a cure in the form of a policy that somehow protects their customers from disingenuous “developers” while giving honest developers the breathing room they need to release a good product. Something with a little more teeth than a caveat emptor. If they fail to do so, they will likely lose the trust and goodwill of a lot of their customers. Beyond a vague suggestion that Steam draw up a better policy for early access games on their store, I really don’t know what the solution to all of this is. I’ve been thinking about it on and off for months and very pointedly in the last few weeks. Early access seems like a great idea, but once the human factor is introduced, it seems to, like a lot of ideas, fall apart. Maybe patience is the answer. Perhaps gamers could learn to be more patient and understand that a quality video game doesn’t just pop into existence over night, that it takes years to create a quality product where video games are concerned. And maybe developers, the good ones, could be more realistic with the milestones and goals of their products allowing their supporters to develop realistic expectations of the final product and the industry as a whole. Again, I don’t really have an answer. What about you? What are your thoughts on early access games and crowd funding? Have you been burned by participating in early access? Do you have a solution? Let us know in the comments below. I know what you mean. Although I haven't been badly burned by supporting early access games or the few Kickstarter projects I have supported, I know of others who have. Like you I read the Steam community reviews before paying down any cash and I have to say I have been very pleased with the Fun Pimps and their early access game, 7 Days to Die. I think the Pimps have a good balance of updates (I started in Alpha 9.2) and also keeping us informed through the developer's Tumblr blog. I am also now super excited about the imminent release of Alpha 11, and I guess that is what I love about games in alpha, being there to see them grow. Also, feeling like I can have a say if I want to and it might even change the game, so to speak. Thanks for the comment Scissorwish. And i totally agree with you about 7DTD! I think it is by far the best early access game i've been involved with. I'm very much looking forward to U11 as well. It's looking very sweet on their Tumblr!